They are the new NW-WM1A and NW-WM1Z models, due for sale later this year. The former is black and has an aluminum body while the latter is gold and crafted from "oxygen-free copper," according to Sony. 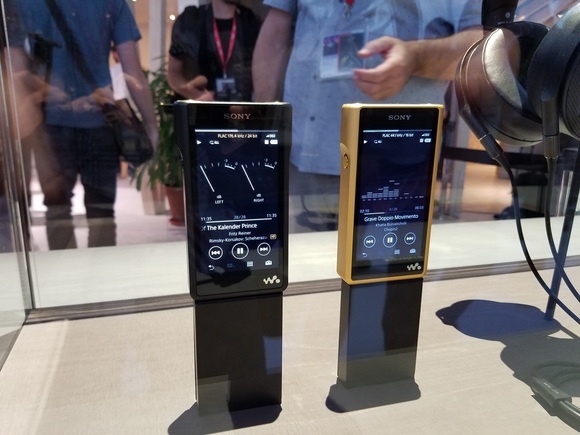 Sony's NW-W1A and NW-WM1Z Walkman on show at IFA in Berlin on September 1, 2016. And that choice of metal gives some heft. It's surprisingly heavy at 454 grams; that's about the weight of four smartphones. The aluminum-bodied WM1A weighs 267 grams -- still about double a smartphone. The weight gives the WM1Z an expensive, well-built and satisfying feel (more about the price, below). But it's heavy enough that I would worry about carrying it around for too long or even placing it in a jacket or pants pocket. It's likely to pull the garment. This is one for a bag. Sony's NW-1Z Walkman on show at IFA in Berlin on September 1, 2016. I tried out the NW-WM1Z at the IFA trade show in Berlin, where they were announced on Thursday. 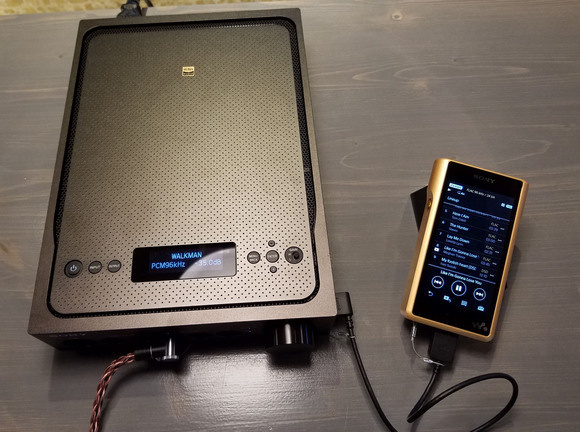 Audio ran over USB to the companion amplifier and into a pair of high-end MDR-Z1R headphones. The Walkman was loaded with a dozen high-end audio files in FLAC, DSD, or PCM formats. Sony's TA-ZH1 ES headphone amp on show at IFA in Berlin on September 1, 2016. And the sound was simply superb. 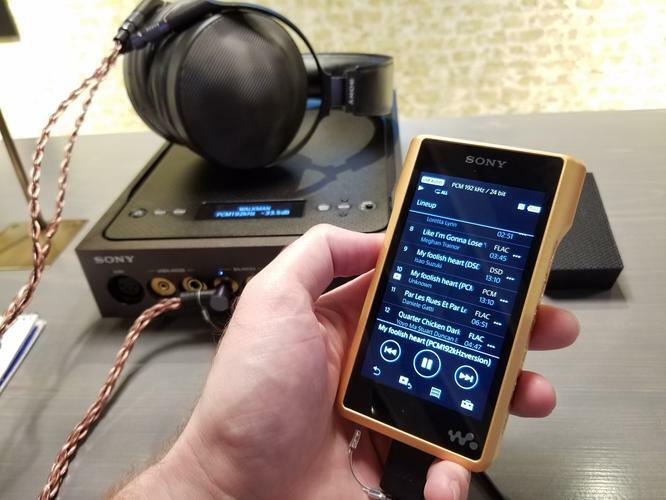 The headphones did a great job of isolating the noisy show floor, and the amplifiers, both in the Walkman and the standalone unit, did a fantastic job of making me feel like I was in the same room as the musicians. And that's what this high-end audio is all about. The gear isn't so much about listening to a podcast or iTunes mix on a train, it's about losing yourself to the beat of the best musicians in the world. In that department, both units shined. 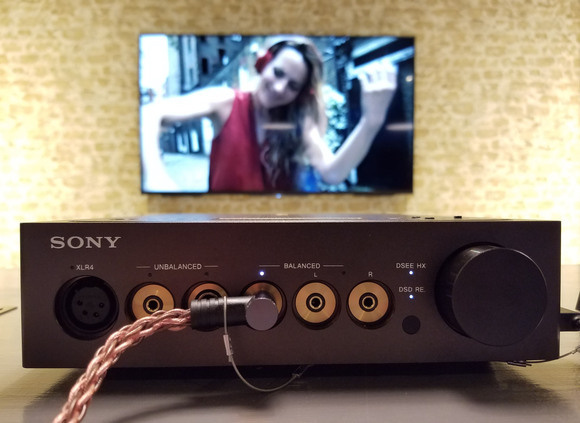 Sony started focusing on high-end audio after its portable audio business began collapsing, first under intense competition from Apple's iPod and later from smartphones. In the last few years, it has tried to reinvent the Walkman brand with high-end audio products and a few sports devices that smartphones can't match. These latest two Walkman are called the "signature series" and they come with signature prices. 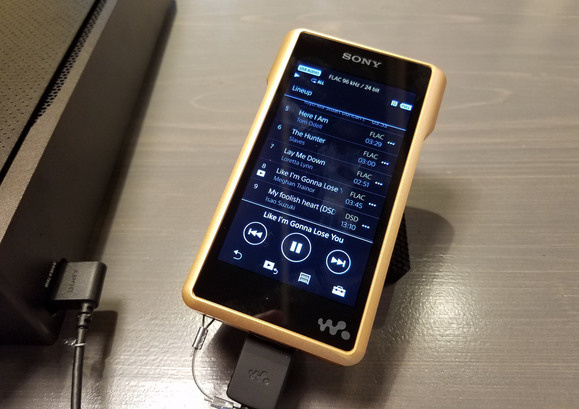 The top-of-the-line NW-WM1Z Walkman will cost US$3,200 when it hits the U.S. in November. The aluminum bodied NW-WM1A carries a lower price of $1,200 -- a comparative bargain!